Inside the effort to find life-saving treatment for glioblastoma patients. Brain tumors can be one of the most serious forms of cancer. Despite significant research and clinical efforts, the survival rate for patients with glioblastoma (GBM)—the most common and aggressive form of brain tumor—has changed only marginally in the past 25 years, remaining at about 15 months after diagnosis. In the Ann Romney Center for Neurologic Diseases at Brigham and Women’s Hospital, our scientists are working tirelessly to better understand and treat this devastating disease. Anna Krichevsky, PhD, one such scientist who is recognized as a pioneer in the field, has dedicated more than a decade to studying glioblastoma in search of new treatments. Together with her team, she has identified a regulatory molecule called miR-10b, which holds great promise as a potential target to treat the disease. 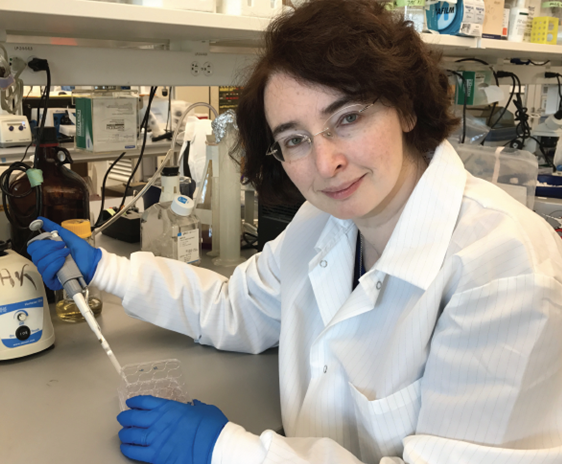 Dr. Krichevsky and her team continue to work on optimizing this innovative microRNA- targeting strategy, which may prove to be a life-saving therapy for glioblastoma patients.